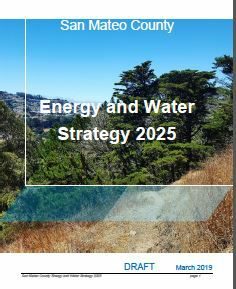 San Mateo County Energy Strategy 2012 – was developed though County support and C/CAG committee of elected officials and stakeholder representatives from energy, water, utility, nonprofit, large and small business, and eventually adopted by every SMC city council and the County. The project started in 2006 and was completed in 2008. Adoption was completed in 2009. © 2019 C/CAG. Site created by Michael Baker International.